Enjoy a luxurious start to your holiday by letting someone else park your car for you. Winter Offer! Are you jetting off over winter? 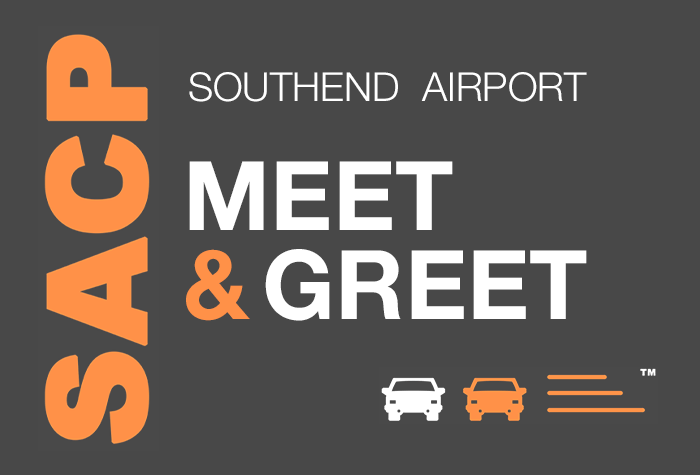 Enjoy an additional £18 off of SACP Meet and Greet Parking at Southend Airport. Just enter your travel dates above and if the offer is available you'll see it in the search results. 0% of customers who left a review would book again. SACP Meet and Greet is rated, on average, 0 out of 5 by 0 Airparks customers. You can find the full reviews on our SACP Meet & Greet reviews page. SACP Meet & Greet makes your arrival at the airport smooth and seamless as you step out of your car and into the airport. To check live pricing and availability enter your required parking dates at the top of the page and when you're ready to arrange parking with SACP Meet & Greet you can do so through our easy online booking. You can see our full range of parking on our Southend Airport Parking page. Call SACP when you are about 15 minutes from the airport so they can meet you at the Short Stay car park at Southend Airport. Hand over your keys to the professional driver who will park your car for you while you head to departures. Top Tip: The contact details for SACP will be in your booking confirmation email. How do I get to Southend Airport? Once you have dropped your car off with the SACP driver you are right outside Southend Airport; no need to worry about transfers! When you get back to the UK give the driver a call to let them know and they'll bring your car back to the the terminal - hop in and head home. The Park Mark is awarded by local police to recognise car parks which have taken additional steps to improve security. This service is unavailable before 03:30AM. SACP can only take cars that will fit into a standard-size parking space (2.4m x 4.8m). SACP cannot accept vehicles with 8 or more seats.